What happens when you take an ancient Polish capital, fill it to the brim with cafs, bars and clubs, mix in roughly 120,000 students and then shake this up with a generous measure of ex-pats and young tourists on holiday? The explosive cocktail that is Krakow's nightlife: that's what! And where can you sample this heady and hedonistic brew? There's no better place to start than in Krakow's splendid Old Town where, underneath a faade of ancient architecture, are housed countless dens of vice and inequity all eager to cater for your ill-advised pleasure. Those of you that have spent any time in Krakow will agree with me when I say that there are few greater experiences in life than following your nose down a dark alleyway or into a cloistered courtyard to discover yet another fantastic bar that you'd never been to before. But if you are new to the city, or are planning just a short visit, then you needn't worry, you don't have to be Keith Richards to track down a good watering hole - we at Local Life have done the hard work for you! In addition to our complete caf, bar, pub and club listings we would like to proudly present to you our specialist section, Local Life's very own Nightlife Guide. PS: This one is a little old - for a more up-to-date article, please read "Where to go dancing in Krakow"
Let's start with the pubs. Now whereas many a young Pole feels that it is perfectly OK to rock up to a club at ten o'clock and make themselves comfortable for the night, the English amongst us know that this nefarious practice is in fact illegal. All nights out, by orders of Her Majesty The Queen (whose authority bypasses such frivolities as international borders) must start in a bar and no later than eight o'clock! Luckily for those of you who share this Anglican ideology, Krakow proves to be something of an alcoholic's paradise. There is a fantastic selection of pubs and bars, often housed in attractive subterranean cellars, which will serve you their finest piwo (beer) for around eight zloty a time (that's about a pound and a half, or two euros). One such cellar bar (or 'piwnice' as they are known in Polish) is Piec Art. These types of places attract a young academic crowd, relatively free of tourists, and are great places to savour a pre-club beer and build up the excitement before the carnage begins in earnest. Piec Art also hosts the occassional jazz night. If though you prefer something a little less studenty and a bit more swanky, then Boogie Bar and Shakers Club are the upmarket joints that are aimed at the money crowd. But then again why not chill out in the relaxing confines of the Budda Drink and Garden, or watch the world go by from any of the many cafes in the main square? When it comes to drinking this city simply spoils you for choice! If Krakow isn't short of a bar or two (about two hundred in total by all accounts), then you don't have to go very much further to find a club. The roads leading onto the main square are chock full of doorways, which, unnoticed during the day, sprout big burly doorman at night and entice you in with the powerful thump of a familiar bass-line. Although there are clubs that cater for every taste, the vast majority of venues plump for the lowest common denominator soundtrack of house and techno, splash out on a nice bit of decor and succeed in attracting a mix of tarted-up girls and the usual suspects trying to pull them - or get dead drunk trying. Frantic on Szewska features very palatable house and the girls are tops. There's a second room for hip-hop, and usually the entire place is ram-packed from Thursday to Saturday, whilst Goraczka next door plays cheesy party music and is lively every night of the week, even on Sundays (and if all the good girls are at church that leaves only the bad girls, right?). Whereas you can enjoy full-scale carnage at any of the above if (like the author of this guide!) you are a something of a 'club snob', then don't despair - there are a few genuinely great places in Krakow hosting serious music nights for the more discerning party-goer. Near the top of the list is Rdza, which has welcomed drum and bass acts as famous as Andy C on back-to-back nights with Makoto feat. MC Deeizim, whilst Ministerstwo is another good alternative to the generic tourist traps, and a worthy addition to the Krakow nightlife scene. But of course, when it comes to the big players no guide to Krakow's nightlife would be complete without mentioning Krakow's most wayward child, Prozak. With its shameless (and yet not entirely without merit) door policy of letting in only fit Polish girls and rich foreign men you might expect the worst, but it regularly stumps up stunningly original house and techno sets that are surely wasted on some of the clientele. Needless to say that if you feel differently please keep us informed by posting a review! If all that isn't enough to keep you entertained in Krakow then you will be pleased to know that this is just the sand in the city's bikini, and there's plenty more left on the proverbial beach. Besides the Old Town the reinvigorated area of Kazimierz is rapidly enlarging its reputation as the place to be right now. A bevy of bars and cafes and a couple of clubs are pulling the arty crowd away from the tourist hordes in the main square and preserving a genuinely sophisticated drinking scene in the unique Jewish Quarter. The majority of the best venues can be found in and around the Plac Nowy, the funkiest of which is surely the ultra-hip Alchemia. Worth its weight in gold on any day of the week, it also hosts various concerts and performances in the shadowy depths of its downstairs. More upmarket, Le Scandale is the name on the lips of those in the know. But if you are looking for romance (viz. a cheap lay) be warned, the Kazimierz crowd wouldn't look out of place in Hoxton's finest and the chat up line 'do you speak English?' doesn't guarantee the same sort of success that it does in the tackier joints around the Old Town. One more thing you should remember about Krakow's nightlife is that it is heavily influenced by the seasons. As summer rolls on and the Polish students finish their exams and jet off to man the bars of London and Dublin, or to venture even further afield, the scene will change considerably. Their number will easily be replaced by the high season's tourists and it's a safe bet that anywhere with seats in the sun, plus all the clubs around the Main Square, will be doing a roaring trade as excited young hedonists on holiday hustle at the bar to be the first to spend their zloty. It's not real money after all! So now that you know a little about Krakow's nightlife, don't you think it's time you checked it out for yourself? There are hundreds of places besides those mentioned here to try out and we suggest you use our pub and caf directory to get a fuller flavour of what's for you. We are just the few and you are the many, so don't let your opinions of a venue you have visited go to waste. Keep us and our users informed by posting a review and help us make Cracow Life the most up-to-date and accurate guide to the city's hotspots. Remember the best and most informative annual review wins a weekend trip for two back to beautiful Krakow with all expenses paid - that includes flights courtesy of Local Life, tours courtesy of Krakow Tours and accommodation courtesy of Krakow Apartments! is the nightlife still good in the week (mon-thu)? It's good all week, Eddy. Check out our events page, new articles page or @LocalLifeKrakow on Facebook to see our recommendations of the best events and places to find the fun. WARNING WARNING WARNING WARNING ; FLAME CLUB IN THE CENTER OF KRAKOW WILL SCAM AND DEFRAUD YOU OF YOU CASH . THE GIRLS ARE PROFESSIONAL THIEF , DO NOT USE YOUR CARD AND DO NOT HAND OVER CASH TO THEM . Warning : Flame will do everything to cheat you out of your money , these Girls are professional thief , who will promise you any thing until you hand over your cash , She may even advise you not to use your card in the Club but to get cash from out side , but as soon as you hand it over to her every thing she had promised will change . You have been Warned . I really had trusted her until I hand over my cash . I feel like a complete fool . The Clubs in Krakow are the worst I have ever been in . Hiya :) Many places need reservations, many don't... either way the party will be big, busy and everywhere. Go from pub to pub! I have an airbnb apartment if u need in the Centre! U re most welcome!! Happy new year and take care! Hows the party scene in krakow in october & november? is it lively? Hi I would like to know some Polish people & I am interested in their Poland stock market ( little hobby reading updates ) ! Also I am interested in Poland's free university placements & is there free language courses for those interested in visiting Poland ? Hello Todd! Yes sure, there are. I happen to be working with students on such language courses on the uni. Please let me know if you need more info! Came back from Krakow just this weekend and noticed a company named 'Dionizos Svetlana Ivano' pending large transactions on my card! Can only think that it was when some girls touted us to go in this dead bar on szpitalna street next to the kantor! Tried to pay on card but declined so bouncer marched me to the cash machine in which I used another card to pull out some cash. This dionizos svetlana turns out to be registered at Hard Candy Pub bar Szewska 18, Kraków, Poland which i never went near!!! so the obviouse thought is they skimmed my card when apparently it declined!!! dodgey! out of all the eastern European places I have been I thought Krakow would of been more stricter on things like this!!! Anyone any tips regarding my request from Friday? Next week in south of Poland all week, but then on Thursday for one night in Krakow. Looking especially for interesting bars/pubs/clubs for 30-plussers. I am a very young minded 36 year old, but I don't particularly enjoy the young students scene. I would love to have great fun and pick up some 30+ ladies for some adult fun which can end up at the hotel room of course.... ;) Also haven't booked my hotel yet so suggestions for hotels (and locations) are welcome. Finally of course if any nice, friendly, fun people are around on June 2nd and want to hook up, I am open to that as well! Any suggestions and tips are welcome. Thanks so much in advance! was in krakow january, i am a retired drug dealer and general layabout... the place was amazing .no one ripped me off, i loved the food, every one was friendly and i went to milan after in italy... then wished i stayed in poland.. krakow was awesome for a lone wolf. Hello everyone. I will be on Krakow for business until Saturday and would like to go party. Any suggestions where I could go? Do you think it does not make sense to go out alone? Thanks! What a wasted visit to enjoy Kraków dance clubs. We attempted 2 clubs with a big group and had beautiful ladies with us and was turned away particularly at club Coco. Ridiculous. The guy they pointed at makes $110k a year and had $300 jeans, $200 sneaker white dance shoes and $100 tshirt- claiming he didn't meet the dress code! Wtf. Disappointed with this place. Don't waste your time. Nowe Miasto on Beera Meiselsa 24, Kraków. Incident on Wednesday night July 8th 2015 THIS PLACE IS RUNNING A SCAM! !! It seems to be a common scam now that I saw it. This is what happened: 1. Walking along the street nearby the bar when two girls across street are asking for directions. 2. Crossed the street and they ask for directions to Hard Rock Cafe. I don’t know since I am jot from here so I pulled out my phone to look it up. 3. Then they say forget since it’s too far and asked if I would join them for a drink nearby. I said sure why not since I was just walking around anyway. 4. One them said tugged at hand to go ahead and the other one said she’ll come shortly and she pulled out her phone. 5. It looked like a random bar the one who was with me picked. 6. We sat at the bar and looked over the drink menu. I don’t really drink so I was asking for something without alcohol. I ended with canned apple juice and with a dash of ‘supposedly weak Polish vodka’. I didn’t see, smelled, or tasted any vodka. That was ok by me since it’s a cheap drink anyway though I should have just ordered water. 7. The two girls ordered something in Polish but they never looked at the menu. The drink that they got looked like orange juice. 8. The bill came to 369 Zlotys ($128.14 Canadian) !! That’s like more than 4 days of travel money! 9. The bartender – a woman demanded payment right after serving the drinks and showing the amount on a calculator. 10. I was never in this situation before in my life and being in a foreign place I decided to pay the bill. One of the girls said she’ll get the next set of drinks after. I paid feeling I was ripped off. 11. The bartender at times would say she doesn’t know much English but I was beginning to get the feeling they all knew each other. And there was no else in the bar. 12. I was just getting ready to leave when the two girls decided to order more drinks. I refused anything else and two of the same drinks they had previously. 13. When the bill came I said it’s not mine so one of them took out her Mastercard to pay. The card was declined. It looked strange that the bartender was explaining to her in English why the card was declined! Bartender who said she didn’t know much English speaking to another Pole. 14. The bartender turned to me with the calculator and demanded the money. I insisted that they girls pay for their own drinks this time. The older of the two girls started nagging at me to pay and then I was sure something was up. 15. I looked around and didn’t see a bouncer or anyone else but I didn’t want to be cause a scene. I paid the bill which was for another 344.00 zlotys ($120.14 Canadian ) and was trying to get my head around what really happened here. 16. One of the girls insisted that I drink something and I said no. She ordered a vodka shot and I made it clear I am not paying for it or drinking it. She asked if I had 20 zl and I just got up and left without giving anymore money. 17. I left the bar about 12.00 midnight and came back to the hotel. I googled ‘bar scams’ for Krakow and read several identical stories. I called my bank in Canada and the advised to get the police involved. I went back to the bar and the door was locked but music was playing. I knocked really hard but no one opened. This was just before 3 am – about 3 hours after I was last in the bar. I hung around for a couple minutes and the same two girls walked out of the bar onto the street. They looked awkwardly surprised to see me and began to hurry towards a taxi. I tried to talk to them and the older was saying she needs to hurry for the taxi but there was several taxi all sitting nearby. Then when she won’t stop I tried to snap a their picture but it blurry and they ran into another bar nearby. 18. I called the police but the girls had left in a taxi already. The police went into the bar and questioned the same bartender. ( Strange that the bartender opened the door when the police knocked but not when I knocked earlier and even harder ) 19. The police said there isn’t much they can do since the girls are gone and they can only take this as information. 20. I asked the bartender when did the girls leave and she replied ” ..right after I left..” I explained to the police that she is lying and the police asked her in Polish. The police then explained to me that she said those were different girls who just left. WHAT A LIER AND SCAMMER!! DON’T GO TO THIS BAR – THEY ARE THIEVES AND SCAMMERS! The good people of Krakow should put them out of business! I'm really sorry that it happend to you in Krakow. It happend to me too in Budapest, but I ran away. I hope they'll somehow delegalise their activity since it makes great harm to good name of the city and I'm both suprised and ashamed that such things happen as well in Krakow. btw. I've just read further, so the business owners aren't poles but Latvians. Not as it matters since they didn't delegalise it yet. It happened to me in Budapest as well. I had just ordered a coffee and the girls each ordered 3 drinks at the same time. When the bill came, I paid for my coffee and told the girls they had invited me and I was not paying for their drinks. The bar threatened me with the police, I said I was happy to wait for them. Obviously they didn't call the police and asked me to leave after 10 minutes. If it happens to you, the local police are not going to support them you have no obligation to pay except for your own drinks and the girls don't want to lose time, they can be earning from the next victim. I think it's a very rare event in Krakow. Tonight Shakers !!!!!!!!!!!!!!!!!!!!!!!!!!!!!! Szewska 5 !!!!!!!!!!!!!!!!!!!!!!!!!!!!! Im off to Krakow soon with my 15 yr old son. What is the min. age to get into a dancing club (like a disco to dance not to find hookers) What is a good place for edm or house music? Are there any males strip clubs in krakow? Going at the end of june on a hen do...any help would be great? If you want to spent the alsom time with amazing girls visit the Bunga Bunga Club on the main square. Thought it a bit overrated, to be honest. Girls are pretty, though! For bars, all you need is the main square in Kazimierz. No probs at all for me and the mrs. Super drinks, friendly people and no trouble. Going in 9 days time what's the best club other there! Love Krakow ! Party time ! Hi, i am coming ro krakow for the first time. I have just started learning this wonderful language called Polish. I heard the nightlife is good. But i have never heard of any scams? What scams? Can you tell me what to look out for? And how do i contact couch group? And what is couch group? Nightlife is awesome if you wish to avoid scam get help on couchsrufing krakow group. Lots of locals there willing to guide you even if you do not couchsurf. which girl is that then??? why not just tell them to **** ***? didnt you see any police about? Avoid hard candy bar in Krakow!!!! We were violently forced to go to the cash machine to pay for drinks we did not order!!! The usual scenario is two prertty girls luring you in. Incredible parties here - JUST LOVE IT! HARD CANDY does not go all in the same way attended frantic, in the center, unlike other local krakow menu provides for a cocktail normal 350zloty a huge sum compared to the usual 25 zloty a drink. in my case me and my friend we were approached in a totally causal 2 girls and we moved with them in this place, after that on their advice we order a drink (without wading through the menu used to the low cost of the drinks) we find an account (no receipt ovviammete) of 1000 zloty and with no way out we were forced to pay a thousand adventures to find the money. stay away from hard candy!! THIEVES SCAMMERS THE POLICE DOES NOT ALLOW ANYTHING AND EVERYTHING!! Avoid certain nightclubs and bars in Krakow. Especially HARD CANDY music bar. It's a front for illegal activities, prostitution, narcotics and most common overcharging bills or credit cards. I went there for 2 drinks and they did not give me a receipt. They charged 240 euro! The local authorities in Krakow do not care about the tourists and will do little if you report Hard Candy. it's been open for years and they all know about it. There are likely other bars that scam you like this in Krakow and the local police seem to take a cut. if you do not want to spend lots of money i would avoid the lapdancing bars. There is plenty of pubs and clubs. If you do go to lapdancing go to Flames which is on florianski st. If it is still open. Quite expensive but if you go as a stag party then you can have a pint and the odd dance. You will feel stronger going with a group. Also try Roosters restaurant not far from the rynek glowny.Let me know how you get on?? Diamond the best Stripclub.Love this place, I always come here when I have a day off and want to have a good time.The lap dances are GREAT! I just think Diamond Stripclub is the best one I've been to..
rock and roll baby! Awesome city! 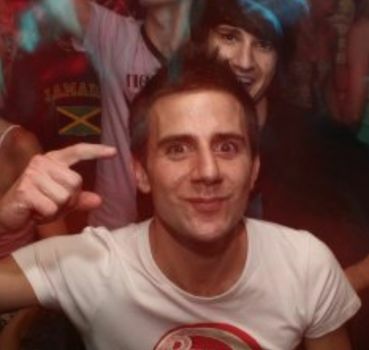 what about minimal techno?? are there some clubs where techno is played??? Of to Krakow in 3 weeks, whats the best clubs to go to, I keep reading that there are so many but surley people must have there Favourites? hi, everywhere around the stare miasto "old square" is magic. As far as scams go i have never been scammed. Not even nearly. Though i have read some stuff on here that people have been scammed. So if it seems to good to be true. probably a scam. like hot women approaching you and wanting to go for a drink. lap dancing clubs are very expensive in krakow. read below. Regarding Flames in Krakow. Prices are up. Minimum for a dance is 300 pln. Half hour after that is 600 pln. Girls are familiar with NY / London pricing, if you were looking to pay less go elsewhere. Beautiful city, beautiful people & a cracking time to be had if u show a bit respect to the locals. Highly recommend!! Krakow has been good so far, pubs a bit sparse for the early hours, clubs in the old town hopping at night. I did have two Polish (I think Russian really) try to scam me. They approached me at the main square, said they were from out of town and were looking for the main street with bars. They had a map with them and pointed to a street and asked if i would join them for a drink. Too good to be true is right, they worked it good but before I went downstairs to some bar they picked, I realized it was a scam and told them to piss off. Saw them later at the same corner trying to scam again. This was just last night, they are one brunnette and one blonde. Very attractive, said they were from Warsaw. Watch out. Otherwise the girls have been shy, but really nice once you talk to them. Beautiful too! Hey, just got back from Krakow, cracking 5 days, not scammed once, we had a great guide and went to Diva,Shakers,Prozak,Baccarat and Kitsch. These clubs were all between 7 - 12 PLN for a beer. champion city, Great folk, just be switched on and polite. I arrived Krakow on April 17, 2011 and my first night was disappointing, I heard alot of bad news about the city but I did't belive it. Unfortunatlly; it looks true that the city in the night is not secure enough for the tourist. Alright everyone. Iv seen a few review's of people asking places to go etc. me and my mates are coming 8th April for a weekend Stag Do, 23 of us to be exact. Im in the navy so iv been around the block with ref to scam's etc, sounds like its rife out there. Would just like some info on places to avoid rather than places to go as there seems to be the good drinking hole's a plenty. Looking forward to a cracking weekend and a trouble and scam free time. Any comments will be appreciated. 1st night last night in Krakow Really disappointed that local legislation allows this to happen 110 euro's for 4 drinks - spoke to 3 girls on st which is not unusual - looked like students on vacation from warsaw. 10 minutes later Hard Candy bar and charged 110 euro's I hear some other guys say should ask for menu - never done this in any bar in around 30/40 cities so why should be necessary ? Really just theft Allowing this to happen really gives a bad impression of Krakow and will be reflected when recommend to friends in future where to visit. Nice review, however I've been here 4 days and haven't experienced the full Krakow thrill. Where can I buy decent grass in Krakow? We were scammed at HARD CANDY MUSIC BAR KRAKOW. Damned bad place!! Be aware of this criminal bar. I lost 700 Polish lotty for 3 normal drinks. 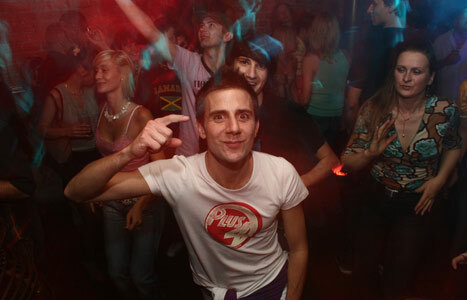 Krakow is great for single male travelers - just stay away from ANY female wanting you to go to Hard Candy Music Club! They will rip you off bad if you give them the chance. Is this place cool for single male travellers? ?